The Anaheim Ducks fired coach Randy Carlyle on Sunday amid a seven-game losing streak. The Ducks announced that general manager Bob Murray would take over as interim coach for the remainder of the regular season. Anaheim will name a new coach following the season. Carlyle, 62, the winningest coach in Ducks history, was in his second stint with Anaheim. He led the team to the Stanley Cup in 2007 and three appearances in the Western Conference Final (2006, 2007, 2017). The Ducks made the playoffs in seven of Carlyle’s eight full seasons with the team, going 46-37 in the postseason. Carlyle previously coached the Toronto Maple Leafs. He went 384-256-96 in 736 games with Anaheim. The Anaheim Ducks, however, has struggled of late. Their loss against the Flyers on Saturday night was its 19th in the last 21 games, and Anaheim has plummeted to last place in the West. 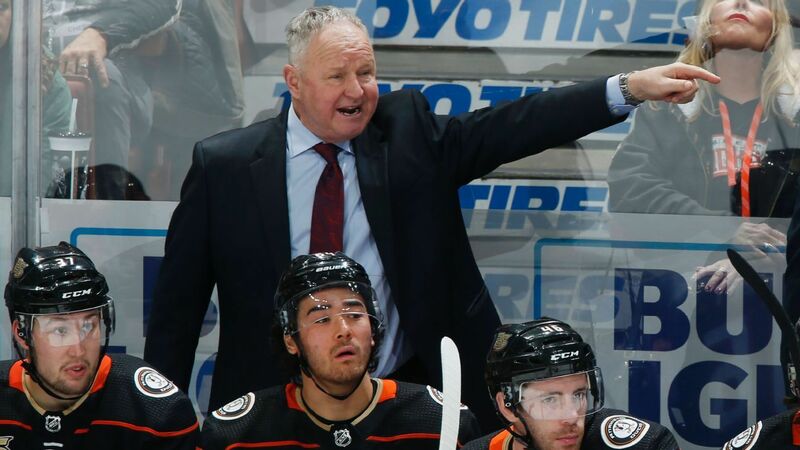 The Ducks have fired coach Randy Carlyle, who was in his second stint with the team.